Fall is nearly here. Photobloggers are beginning to kickstart the blogging year with various projects. 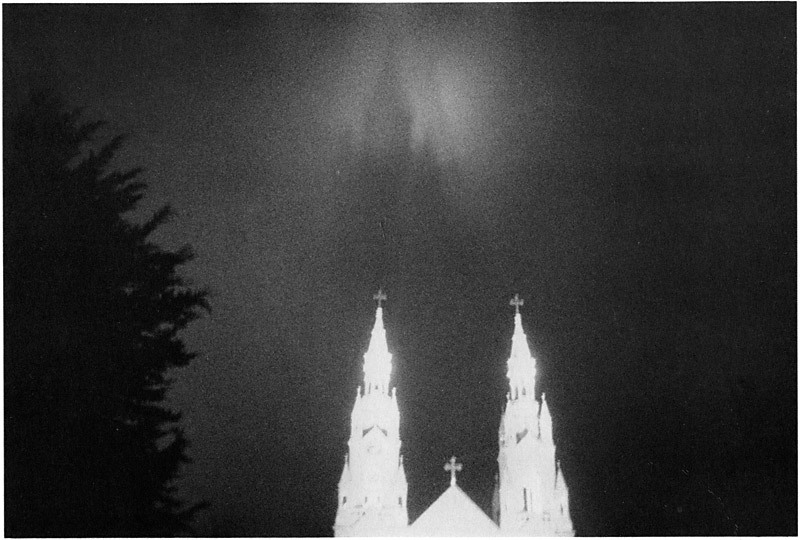 Soon the year-end favorite photobook lists will start to surface in various places. One book which hasn't yet gotten much attention this year is Warwick Mountain Series by Philip Perkis. Since coming across it a few months ago at Powell's, this book has quickly grown into my favorite Perkis book. Not that there is much competetion. Perkis has only published two other titles, The Sadness of Men in 2008, followed the next year by Teaching Photography: Notes Assembled. Both are excellent, but I think Warwick Mountain Series is his finest. 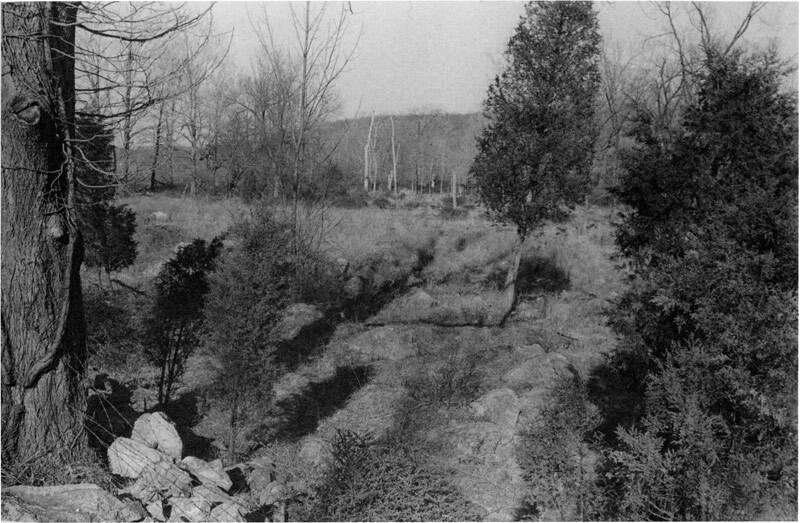 The book contains 43 black and white photos made by Perkis while working under an NEA grant, presumably near Warwick Mountain in upstate New York. Although the majority could be technically classified as landscapes, they show a street photographer's attention to chance, moment and formal juxtaposition. These photographs describe a place, yes, but that function seems incidental. Mostly they describe Perkis and the way he see things. Whether it's a grouping of trees or a child in the tub, a strong visual voice dominates. It's concerned with line, shadow, tonality, and being in the right spot. "I'm not attached to any particular subject, which is unusual for a photographer," Perkis told an interviewer in 2007. "What holds my work together is the way I see and the fact that I use very simple equipment. 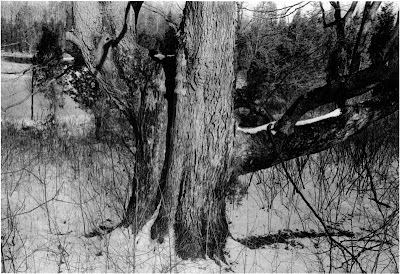 I still photograph the same way, technically, that I started with in 1957, with a small camera and black-and-white film. I carry my camera with me all the time. When I see something that moves me or interests me, I take a picture. I don't care what it's a picture of." A simple camera, black and white film, natural light, no particular subject. 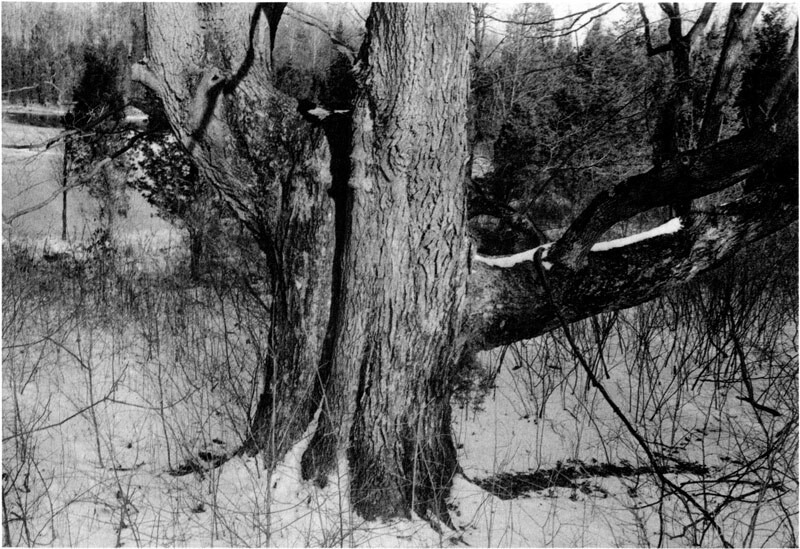 Perkis' work harkens back to a simpler time in photography, perhaps the 1970s, before the rise of color and before thinking had completely superseded seeing. The possibilities of the visual hunt still topped the list of motivations. 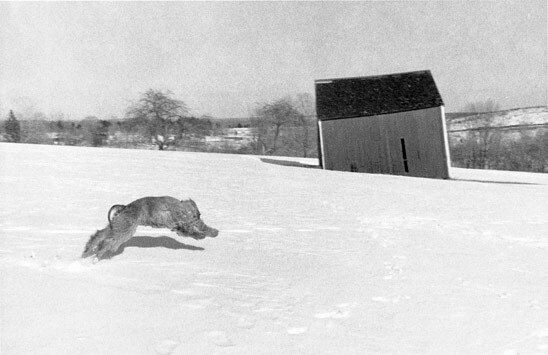 Fans of that hunt and of that era's b/w tricksters —Friedlander, Dane, Wessel, et al— will enjoy these photographs. Not all are of trees. 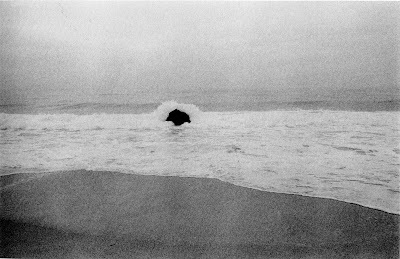 Humans and animals appear here and there. 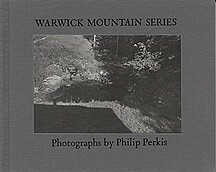 The photographs in Warwick Mountain Series are well complemented by the book's excellent production. Nexus Press went all out, printing a limited edition of 1000 clothbound copies, each one signed and numbered, with clear mylar cover protecting a tipped in cover photo. The interior reproductions are 200 line screen duotones made on a Heidelberg Kord press. The tonal values are rich and extremely condensed toward middle gray (I've tried to keep this look in the accompanying jpgs). The word muddy comes to mind. This is black and white photography with no whites nor blacks. I'm not sure how much of this effect is Perkis' natural style and how much is in the printing. But once one gets use to the effect it's sort of pleasing and helps unify the book. The reproductions have an old fashioned look similar to what might've been found in books 40 years ago, further enforcing the sensibility of time passing and of Perkis' old school style. As we look ahead this fall to what is new in photography, it's worth tipping a hat to that style, and to the past. Warwick Mountain Series may be hard to find in stores this booklover's season —New copies are already selling secondhand for $350— but those who seek it out will be richly rewarded. Philip Perkis is indeed a quiet and sublime photographer. I was only aware of "The Sadness of Men" and I now have another Perkis book to look forward to. I commend your choice of this little cited but superb photographer.